Challenge Accepted: Can You Name Five Women Artists? Ask someone to name five artists and responses will likely include names such as Warhol, Picasso, van Gogh, Monet, da Vinci—all male artists. Ask someone to name five women artists, and the question poses more of a challenge. Back by popular demand this March, the National Museum of Women in the Arts continues to ask, “Can you name five women artists?” This simple question calls attention to the inequity women artists face, inspires conversation, and brings awareness to a larger audience. Last year, the campaign struck a chord, and tens of thousands of posts were shared on social media. This year, more than 200 institutions from 50 states, 22 countries, and seven continents have already signed on to participate. Join us throughout the month to share stories of women artists using the hashtag #5WomenArtists on Facebook, Twitter, and Instagram. Challenge your family and friends. Share posts about your favorite women artists. Share a work by a woman artist at a museum or gallery near you. Explore NMWA’s artist profiles to discover artists you may not know. Get the facts about art world inequality and track campaign updates all month long. Renaissance painter Lavinia Fontana (1552–1614) is regarded as the first professional woman artist. For 20 years beginning in the 1580s, Fontana was the portraitist of choice among Bolognese noblewomen. Not only was Fontana the breadwinner of her family, she also gave birth to 11 children. 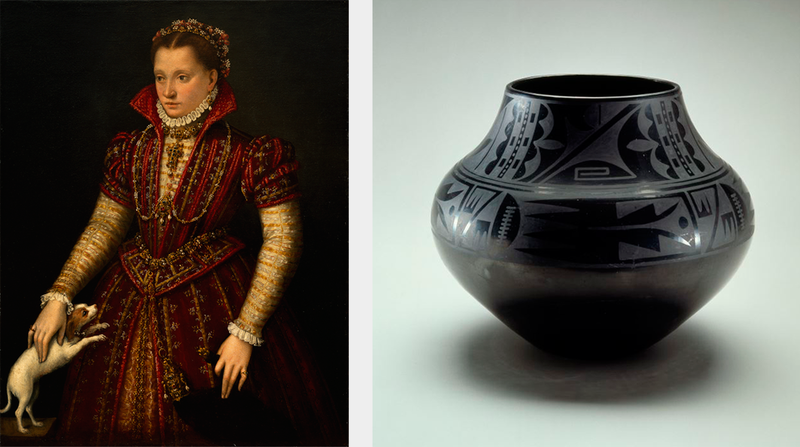 For more than eight decades, Maria Martinez (1887–1980) revived and continued the centuries-old black-on-black pottery traditions of San Ildefonso Pueblo in northern New Mexico. Through her creative vision and skill, Martinez influenced generations of artists. Entirely self-taught and immensely prolific, Clementine Hunter (ca. 1887–1988) earned critical acclaim for vibrant paintings depicting life in the Cane River region of central Louisiana. Hunter did not start painting until the 1940s, when she was already a grandmother. Lola Álvarez Bravo (1907–1993) was one of Mexico’s first professional women photographers, documenting daily life and portraying prominent world leaders. Like her friend Frida Kahlo, Álvarez Bravo celebrated the traditional costumes and customs of her country’s varied regions. She cannily blended nationalist content with the expression of universal human emotions. Want to help advocate for women in the arts? Starting March 1, take the challenge and post about #5WomenArtists on Instagram, Twitter, and Facebook, and tag us @WomenInTheArts. 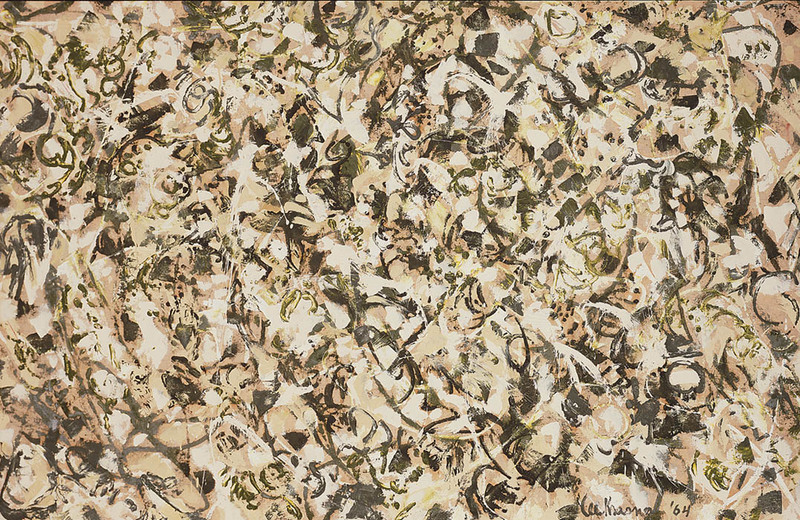 Impress your friends with five fast facts about Lee Krasner, whose work is on view in Pathmakers: Women in Art, Craft, and Design, Midcentury and Today through February 28, 2015. 1. Chicken or the Egg? The title of The Springs refers to the town on Long Island where Krasner and Pollock lived and worked. After Krasner’s death, the house became The Pollock-Krasner House and Study Center. Paint used by both artists can be seen on the floorboards of their barn-turned-studio. Signing much of her work as “LK” or not at all, Krasner attempted to escape presumptions about femininity in the work of “women artists” and her ties to Pollock. In attempting to avoid identity politics, Krasner navigated her roles as woman, wife, and artist. 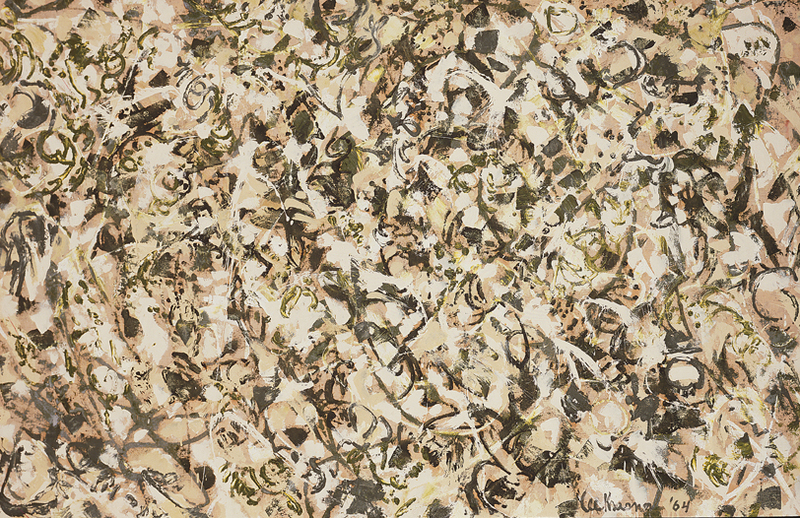 Between 1953 and 1955, Krasner moved toward a collage style, creating new works by cutting apart discarded canvas of her own and Pollock’s, pasting the pieces on large color field paintings previously exhibited at Betty Parson’s New York gallery. Influenced by Matisse, Milkweed (1955) is a stunning example. Known primarily for her contributions to Abstract Expressionism, Krasner did paint figural work early in her career. Though much of it has been destroyed, two self-portraits (1929 and 1930) remain from her time at the National Academy of Design in New York City. —Brittany Fiocca was the summer 2015 education intern at the National Museum of Women in the Arts.